The SXBlue II GPS is a compact, real-time receiver that delivers true sub-meter performance every second to your application. Its integrated lightweight design makes it the ideal choice for a variety of industrial applications including GIS, Forestry, Mining, Utilities, Agriculture, Survey and Environmental, at affordable pricing. 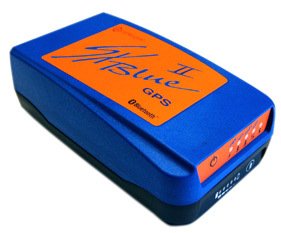 The SXBlue II GPS uses innovative technology that delivers sub-meter accuracy in real-time. There is no need for post-processing or a beacon receiver when WAAS, EGNOS, or MSAS are available. Even in forestry applications and other difficult mapping environments where GPS reception is limited, the SXBlue II is designed to keep working and deliver the DGPS accuracy you need, 24 hours a day. The SXBlue II GPS takes real-time accuracy a step further. Its code phase measurements and leading edge multipath mitigation delivers sub-60 cm (2dRMS, 95% confidence) positioning. With superior tracking performance and innovative real-time positioning, that means no downtime even in harshest conditions. The SXBlue II maximizes your productivity by working directly within your GIS framework (ESRI, Autodesk, CMT, Integraph, MapInfo, TDS, etc.) both in the field and the office. Add a field computer that suits your application and an off-the-shelf software of your choice, and the SXBlue II GPS becomes the heart of an upgradable modular solution. In today’s rapidly evolving technologies, its unique multi-port interface (fully independent Bluetooth, USB, RS-232 ports) helps to protect your long term investment by always allowing the use of up-to-date computer hardware, operating system and software.